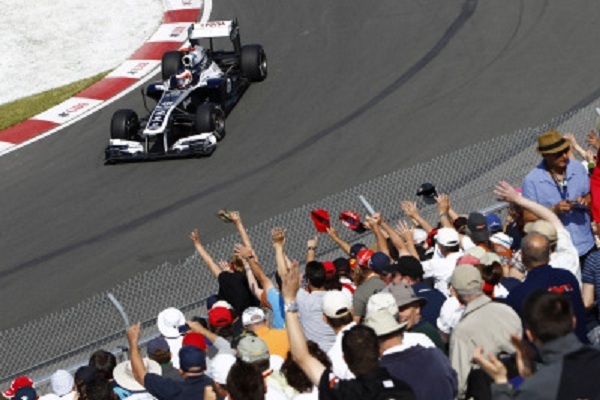 As a Canadian motorsport journalist, forgive me for giving an extra loud cheer as the 2011 Formula 1 season makes its stop at Montreal's Circuit Gilles Villeneuve. For the most part a staple on the world grand prix tour from 1978 to 2011, the race had only been absent from the Formula 1 racing schedule twice in 1987 and 2009 due to sponsorship issues. 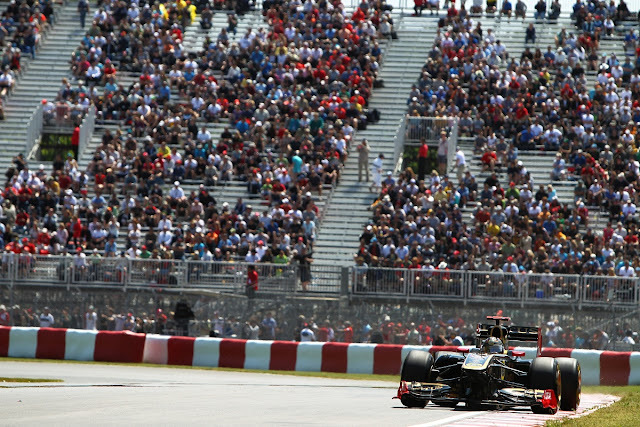 For 2011, the Canadian Grand Prix plays host to a 24-car Formula 1 contingent led by a dominant Sebastian Vettel. Winning five of six races, the defending Formula 1 World Champion Vettel has spent a great deal of 2011 at the front of the field for Red Bull Racing. Though the chances that Sebastian Vettel could continue his tear on the 2011 Formula 1 racing schedule with lasting strength in Montreal, the race has been an unpredictable affair in the past. Based on 2010, the Canadian Grand Prix could the dent in the Red Bull Racing armour teams such as McLaren and Ferrari are intent to exploit. The only driver other than Vettel to win a grand prix in 2011, Lewis Hamilton has 2 wins on the Circuit Gilles Villeneuve circuit including the future world champion's first Formula 1 victory in 2007. For Ferrari, the Italian team literally owned the race through Michael Schumacher's Formula 1 reign in the early 2000s. Schmacher and Ferrari won the Canadian Grand Prix 6 times together. Ferrari as a team has won 10 times total since the race was held at the track on the island off the coast of Montreal. The first driver to win on the circuit for Ferrari was Canadian and the current track namesake the late Gillles Villeneuve. In 2011, Ferrari is paired with 2006 Canadian Grand Prix winner Fernando Alonso. The best time for Formula 1 racing fans in North America to enjoy the live spectacle of the globe's most premier form of open wheel racing, many drivers and teams also share excitement in the Canadian Grand Prix weekend. Williams F1's Rubens Barrichello shared prior to heading to Montreal that "Canada is always a very special event. The atmosphere is so relaxed and the racing is fantastic.". Barrichello continued to express interest in one of two exciting segments that delight the fans as much as the drivers. "The hairpin is probably one of the most exciting parts of the track as the fans that base themselves there are great." Barrichello said. Rookie teammate Pastor Maldonado is visiting the Circuit Gilles Villeneuve for the first time as a Formula 1 competitor but has fond memories of a 1998 visit in go karting. Team Lotus driver Heikki Kovalainen himself calls the Formula 1 visit “Canada is one of the highlights of the whole season.." Impressed by the race track, Kovalainen is well acquainted with the spirit and following of the series in the French-Canadian province. "It’s obviously not the same intensity as Monaco when you’re away from the track, but the whole city buzzes when we’re in town and they get behind the whole event right across the city so there’s an amazing atmosphere wherever you go. The crowd are also very knowledgeable and you can see what it means to them when the race takes place in their back yard as it’s packed from Thursday right through to Sunday." Team Lotus' Heikki Kovalainen complimented. Kovalainen's Team Lotus team is looking forward to the Canadian Grand Prix as presenting an opening which the sophomore team can claim their first manufacturer points. A challenging 4.361 kilometer (2.71 mile) temporary street course that burdens tires and brakes, the Formula 1 drivers will find little relief after competing in the tough Monoco Grand Prix. New Formula 1 tire supplier Pirelli is likely to become a major focal point during hte weekend. Throughout the 2011 season, Pirelli's first year adapting to the grand prix schedule has left teams making more guesses at the start of the race weekend. Friday and Saturday practices will be most important in understanding best set-up the 2011 Canadian Grand Prix. With two practice session on Friday, teams will be zeroing in on finding speed for Saturday's qualifying as well as the race on Sunday afternoon.